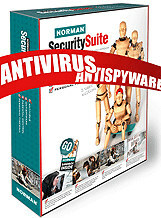 Norman Antivirus and Antispyware is an all-in-one security software that helps to protect against worms, viruses, Trojan horses, rootkits, keyloggers, Internet threats, malware, and spyware to prevent damage of the computer. Norman Antivirus and Antispyware comes with user-friendly interface that suitable for both professional and novice uses. The new Norman Anti-Virus has added SandBox system that provides advanced protection to find and eliminate new and unknown malware. Unfortunately, Norman Antivirus and Antispyware may cause slow down to the computer due to high usage of resources. Norman AntiVirus and AntiSpyware normally cost $49.95 for a 12-month subscription. As part of promotional offer, anybody now can grab the Norman Antivirus and Antispyware with free 1-year genuine legitimate activation serial license key. Enter the name, email address, OEM code WXPMASS12-UK and other information, then click “Submit” button. Note: The OEM code is required to complete the registration. Email from Norman Web team will be sent to registered email with a free registration key. Windows 7 users are requested convert above key by visiting http://www.norman.com/support/convertkey. Then install it and enter the activation key to enjoy the fully licensed Norman Antivirus and Antispyware for 12-month subscription. Norman Antivirus and Antispyware support Windows XP, Windows Vista, and Windows 7.